Innovation in entertainment is the only constant. Music, sports and live events have evolved tremendously since the 2010 Olympics that inspired our company’s creation. We pride ourselves on our passion for adapting to these ever-changing tides by creating cutting-edge solutions with our partners. Together, we are driving the evolution of the fan experience. We’ve also grown from a strictly digital company with a suite of apps, to a full technology platform that serves the online and offline worlds. As our product evolves, our brand must adapt as well. Our eight-tone logo (designed for digital) doesn’t exactly print well on a t-shirt. Even though our platform is complex and multi-faceted, our identity must be easy to understand. 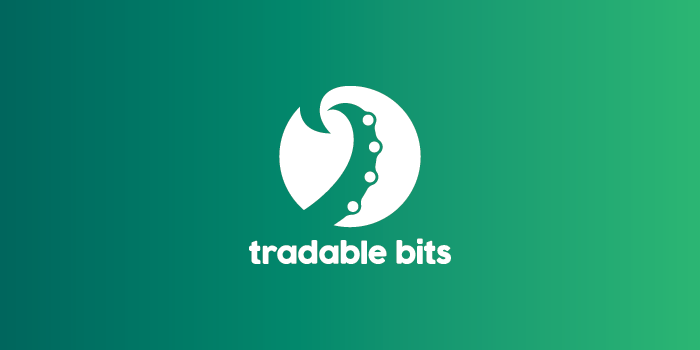 We are excited to announce that although we’re still the same Tradable Bits with the same fan-based marketing technology - we’re launching a new logo and look that better reflects our current vision, values, culture and community. Integrity is at the heart of everything we do. Our partners trust us to manage and protect their fan data, especially at scale. Our results are transparent, honest and easy to understand. We believe in open, flexible and honest systems that help our partners improve their fan experience. We love new challenges, and quickly and happily solve any problem we face. We help our partners understand and optimize their fan experience because we're all learning together. We're leading the way in fan-based marketing - constantly experimenting + improving. 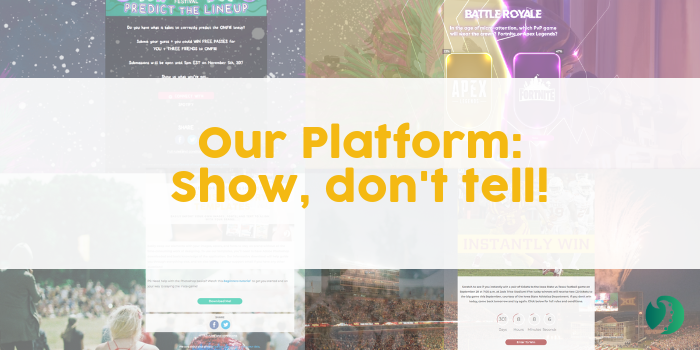 Although it may seem like we have a crystal ball of fan-based marketing - the truth is, together with our partners, we're deciding where the industry is going and building the necessary tech. We're always collaborating. Our deliberately diverse team brings multiple perspectives and skills to our partners' internal teams, helping with everything from strategy to execution to reflection. In 2011, our suite of apps was ranked in the Top 10 Apps on Facebook, with over 17 million monthly active users on 100,000+ Facebook Pages. 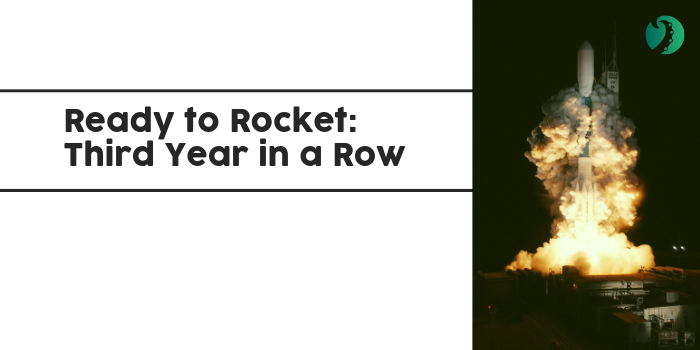 In 2012, we moved from a purely free service powered by ads to a paid model, which gave us the resources and ability to work more closely with our partners. In 2013, we launched Stream so we could bridge the gap between fans and brands on social media through user-generated content. In 2014, we launched our Fan CRM, which provided a centralized system to integrate all the interactions happening between fans and brands with Ticketing data from leading partners. In 2015, our partners began using this insight to have more personalized conversations with fans via our automated Ads Integration, thus improving their marketing and client relationships. In 2016, we built Idols to help our partners understand affinity, so they could provide more relevant experiences and messages to their fans. In 2017, we launched Chatbots and SMS tools so our brands could build direct one-to-one relationships with their fans at scale. 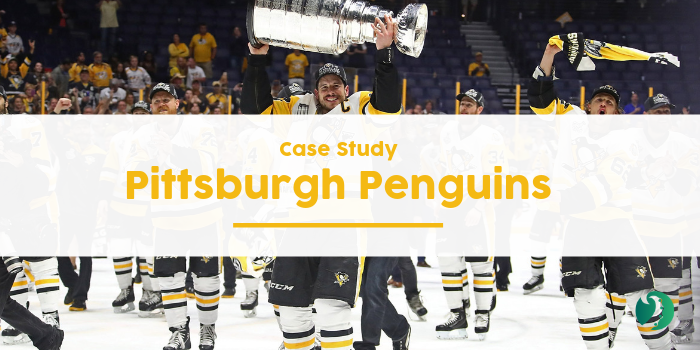 In 2018, we helped our partners personalize their online and offline fan experiences, from the first impression to their life-changing fan moments. From WiFi portals to interactive on-site towers, we’re creating cutting-edge engagements for festivals and sports events. In 2019… well, you’ll just have to wait and see. After two years of brainstorm sessions, whiteboarding, outside perspectives, heated arguments and a final victorious cheers in Mexico City - we arrived on a symbol that represents our current values, vision and community of partners. We’re pleased to introduce you to our new logo. We’re proud coastal Canadians and have spent the majority of our company’s history overlooking the Pacific ocean, which is home to the giant Pacific octopus. Our office faces Stanley Park, and our families often visit the octopus who lives at the Vancouver Aquarium. This highly intelligent and uniquely west coast creature was the initial inspiration for our new design. Just like the Pacific giant octopus, our technology is alive and constantly evolving with the ever-changing tides. We are multi-faceted, multi-purpose and multitasked - but all with a unified, intelligent purpose in mind. We work behind the scenes in many areas of our partners’ fan experience, even though fans may never see us (like the octopus’ camouflage). We can even relate to the odd and elusive creature for the fact it is often misunderstood. We live in the murky and uncharted waters of the data industry, and occasionally struggle with strangers mistaking us as nefarious, despite the fact that multinational enterprises trust us to protect their fans and their data. Ultimately, the octopus symbolizes intelligence, adaptability and creativity, which are all essential elements of our company identity and technology. The two other symbols we reference in our logo are a wave and the concept of “connection”, indicated by the two arms reaching for each other. The first symbol represents the constant waves of change in our industry that we help our partners ride with ease, and serves as an additional nod to our coastal roots. The second symbolizes “sticky” connections: between friends, between our fans and their idols in sports and music, and within our partnerships. We work together, think of our community before ourselves and collaborate at every opportunity. Our primary brand colour is green. Green represents life, renewal, innovation and evolution - all of which relate to our core values. It also symbolizes disruption and freshness, which reflects our current place in the industry. Finally, green elicits growth, which relates to the fact we’ve organically grown our profitable company from the ground up with no external investment. Our secondary brand colour is gold (light orange). Gold represents joy, happiness and enthusiasm, which reflect the culture of our company and community. It also represents wealth, success and determination - which are attitudes and goals we share with our partners. The combination of these two colours creates a bright, vibrant and positive aesthetic that excites and assures all at once. The scheme calls to mind the sunny fields of music festivals and sporting events, where the fan experiences we help our partners build actually take place. We hope that you’ll join us in celebrating this new evolution in our visual brand. We’re happy to answer any questions you may have and would love to know what you think! If you’d like to update any assets you have with our old logo and look, please download our press kit.